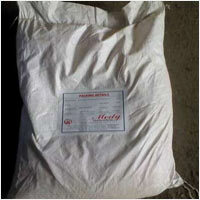 Potassium Bromate, Potassium Salt - Mody Chemi-Pharma Pvt. Ltd.
Potassium Bromate is known as 7758-01-2, Bromate, potassium, Bromic acid, potassium salt, Potassium bromate(DOT) and comes with Molecular Formula of BrKO3 and Molecular Weight of 167.0005. It is manufactured through passing bromine into solution of potassium hydroxide and comes in white hexagonal crystal/colorless, trigonal crystals with Melting Point of around 350°C, Density/Specific Gravity of 3.27 g/cu m and solubility in g/100 g water with 3.1 at 0°C.